Easton’s EC90 Aero wheels have received some significant updates for this year, as there is now a new clincher version to match the tubulars. The other most significant change is the addition of the ThermaTec braking surface, which is reputed to offer smoother and more reliable modulated braking by reducing the amount of heat build-up, and is said to be on a par with alloy rims. 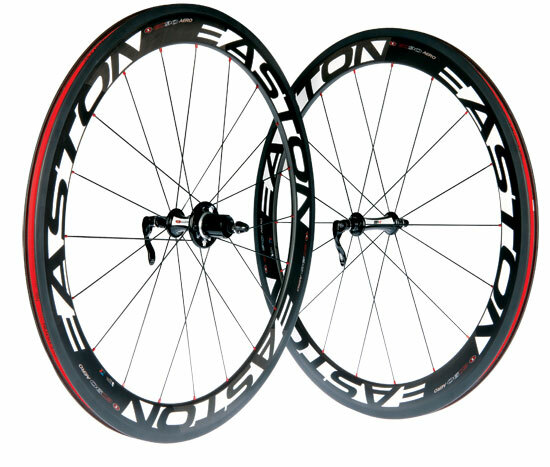 The rims are moulded as one piece and Easton says they offer superior strength over wheels that have the braking surface bonded on afterwards. Our test pair weighs 1,745g with the new pared down R4 SL hubs saving 36g, while another 22g has been saved on the cassette body.